In the newsroom next to my desk is a television that is constantly playing CNN in the afternoon so, if any national disasters occur, we will know about it. And as I heard the word "Suicide" just a few minutes ago, I immediately stopped what I was doing and turned toward the TV. And, with the news, my mouth fell open. The person whose picture flashed up on the screen was a 12-year-old girl. I know what it feels like to be bullied in middle school. The ages of 12 and 13 were probably the two worst years of my life. And my heart breaks that this caused Florida resident Rebecca Ann Sedwick, a student at Crystal Lake Middle School, to kill herself. Before she jumped to her death at an old cement business less than one mile from her home, she texted a 12-year-old North Carolina boy she met online — saying she couldn't take it anymore. More than a dozen girls are under investigation for possibly bullying Sediwick. I think most people, when they picture a bully beating up kids, stealing their lunch money or giving swirlies, they picture boys. But, I know firsthand, that young girls can be a lot crueler. Instead of using physical force, their tongues can be knives. And the gossip they spread — it cuts deep. And what these girls would say to her — I would, hands down, rather be punched than have to go through this. 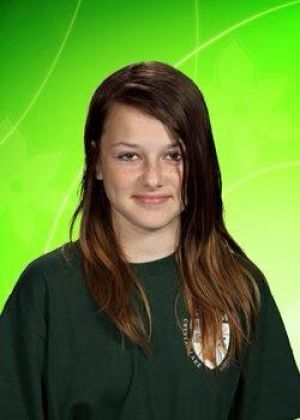 Sedwick's mother said that her daughter received text messages such as, "You're ugly," "Why are you still alive?" and "Go kill yourself." And so that's what she did. After all, isn't this what those girls were hoping Sedwick would do? Kill herself? So they shouldn't be surprised that they, in fact, caused her to do it. And, if enough evidence is found, I believe they should be charged to the fullest extent of the law. And this is what the judge is planning to do — to charge the bullies with felony cyber stalking. They need to be held accountable. And they need to go through some kind of counseling to show them that this is not right — and prevent them for torturing another person in this same way. Don't tell me these girls are young. Don't tell me they didn't know better. At 12, you know better. Don't tell me a middle schooler doesn't have the mental capability to know not to say, "Go kill yourself" to someone. I wish I could have met this girl. I wish I could have told her that life does get better and that, in the future, she would be more successful than any of these girls who made fun of her. I wish I could tell her not to give up — to instead prove all these girls wrong. I remember looking back to my middle school days, and how my life now is nothing like how it was back then. And I'm so glad I lived to see all the good things that have happened since then. More than anything, I wish Sediwick could have lived to see the things life held for her. And that she could have seen that it wouldn't always be like middle school. Good column, Monica. Such a shame this 12-yo didn't tell anyone. My cousin laid her youngest child to rest today...a child that I will never get to meet. Please take a stand against bullying!! Rest in peace Rebecca <3. I am sorry people were so cruel to you.